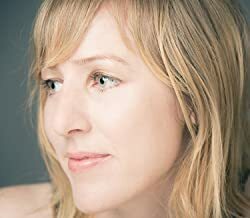 Becca C. Smith has worked in the Film and Television industry for most of her adult life, but in 2010 she delved into the book world by publishing her first novel, Riser followed by the sequel, Reaper, in 2011, and the finale, Ripper in 2013. In 2012 Becca wrote the children's novel Alexis Tappendorf and the Search for Beale's Treasure. She also released Atlas, the first book in a new urban fantasy series in 2013 and its sequel, Grigori Returned in 2014. Along with writing her own material, Becca has also co-written two projects as well. First, teaming up with comic author, Carrie Smith, she co-wrote the teen graphic novel Ghost Whisperer: The Haunted based on the hit television show. Becca then paired up with dark fantasy writer, F.M. Sherrill, to pen the vampire novel, Black Moon. Please enter your email address and click the Follow button to follow Becca C Smith! Chelsan Derée can control the dead. She lives in a future where the world is overpopulated and a little pill makes you immortal. Where people are secretly being exterminated and serial killers are sanctioned by the government. When Chelsan's mother is killed by one of these exterminations, she vows to take down the man responsible.